TMAG welcomes students to explore Dinosaur rEvolution, and has prepared a range of programs and resources for teachers to help bring this exhibition to life. See below for more details. Schools are welcome to bring their classes for a self-guided visit to the exhibition. Please note, groups are limited to 30 students with up to six accompanying adults, and are only available on specific dates and times as per the ticket booking. Please note if schools are coming as a double class (i.e. more than 30 students) please do NOT book the first or last sessions on any day. Because of the high volume of schools expected at the exhibition, please assist TMAG by limiting your visit to Dinosaur rEvolution only. If you wish to view other TMAG galleries, please make an alternate booking for another day through our regular schools booking page. Your co-operation is very much appreciated. A Teachers Guide (with Australian Curriculum Links from Grades 1 to 6 and a general resource section ) is now available here. How did dinosaurs become fossils? What can fossils tell us about the past? Join TMAG staff for this hands-on program to explore the science and the role palaeontologists and museums play in these compelling stories which construct a picture of our planet’s past. Presented in conjunction with a visit to Dinosaur rEvolution. Please note if schools are coming as a double class (i.e. more than 30 students) please book the middle and last session on that day only. 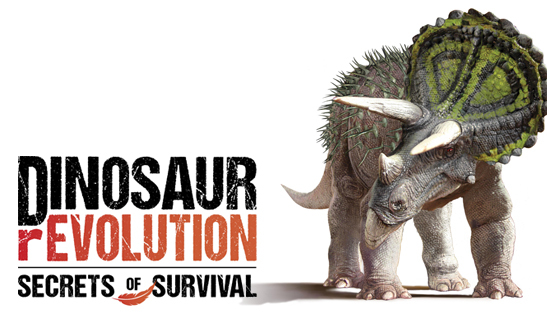 TMAG and Cripps have teamed up for Dinosaur rEvolution: Secrets of Survival and Cripps is giving your school the opportunity to win tickets to the exhibition! Click here to learn more about TMAG's partnership with Cripps. This page was last modified on 1st March 2019.